A Garrison in the Halo Wars 2 Open Beta. 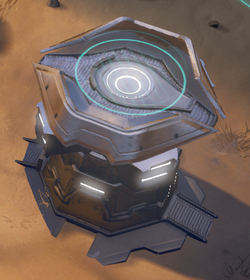 The Garrison is a defensive structure found on Installation 00. When employed, it serves as a defensive garrison in which infantry units can be deployed. Concept art of the garrison's lift.